Implementing a new educational technology takes time and energy—two things in short supply for just about everyone these days. If you’re going to put the time in to learn how to do things a new way, there needs to be a payoff. Like most things worth doing, beginning the task of mapping all assessment items into does initially involve some extra work. 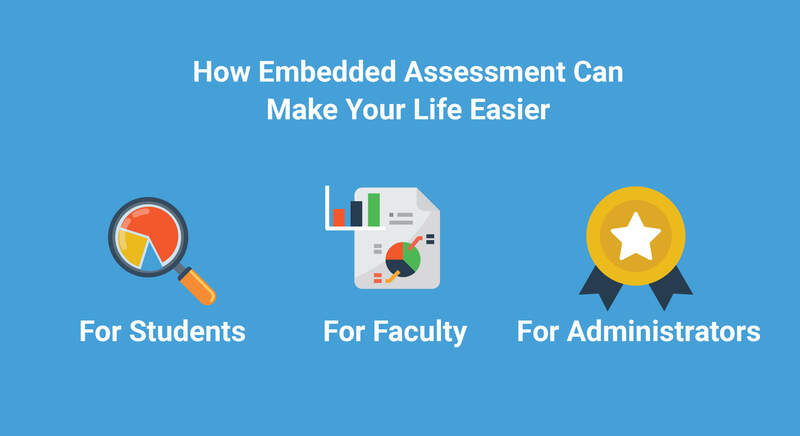 Fortunately, the benefits it provides to students, faculty, and your program as a whole will justify any extra work and costs, and with an efficient and easy assessment tool, you’ll also find it makes everyone’s life easier. Students’ ambitions and willingness to work play a huge role in their success, but the tools an institution is able to equip them with along the way can make a difference as well. Creating and administering exams becomes simpler once you have access to a program that keeps every part of the process in one place with an intuitive interface. To achieve the best results, you’ll need to spend some time “tagging” your items to categories—outcomes, objectives, and competencies you’d like to measure. Depending on how large your item bank is this might seem like a daunting project, but the value you’ll get out of that data will be well worth it. That’s because the data provided by mapping your assessment items can provide real-time insight into how students are performing—making it easy to identify those in need of student remediation and to determine if changes need to be made to curriculums. Administrators are tasked with finding room in their schools’ budgets for a way to take on outcomes assessment. An efficient way of measuring student, course, and programmatic outcomes is by mapping exam items through an assessment software. By mapping exam items and harvesting the student performance data provided, the return on investment associated with such an investment can be found in improved student performance, a streamlined and secure testing process, course and program achievement, as well as assistance with aggregating the information needed for any accreditation visits. The data that exam item mapping provides can help institutions better meet the standards required for accreditation; it can drive useful, effective changes in curriculums based on the needs of students; and it can give administrators a powerful tool to make their programs stronger for current students and more attractive to potential ones. While the implementation of any assessment tool requires up front preparation, the rewards of that work are insurmountable.